Getting ready for a giant slide. 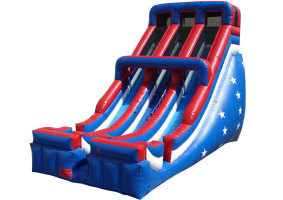 This is our 24 foot patriotic dual lane slide which can handle two riders at once. 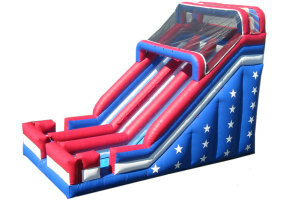 And with its patriotic theme, it is perfect for every event.